Engaging Readers & Life-long Learners! 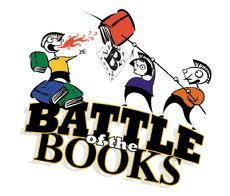 Seaforth School participates in the District’s Battle of the Books program which is offered in the Spring. Students from Divisions 1 & 2 are divided into 6 teams which compete against each other as to which team has the greatest knowledge on 10 pre-selected books. As a team, students must co-ordinate a way to read as many books individually and as a team and then contribute questions for the battles. There are 4 battles at the school and the winner, the team with the most cumulative points, goes on to the District North Zone final in late April . 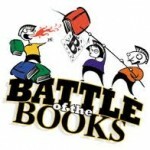 It is a fun program involving friendly competition that encourages students to read a wide variety of books. This is Seaforth’s 7th year participating in this program. I am reading Paul Griffin's first children's novel titled When friendship followed me home which I am really enjoying and would highly recommend to students and staff.